Watch the uncountable look tests that went into transforming Ranbir Kapoor as Munnabhai for Sanju! 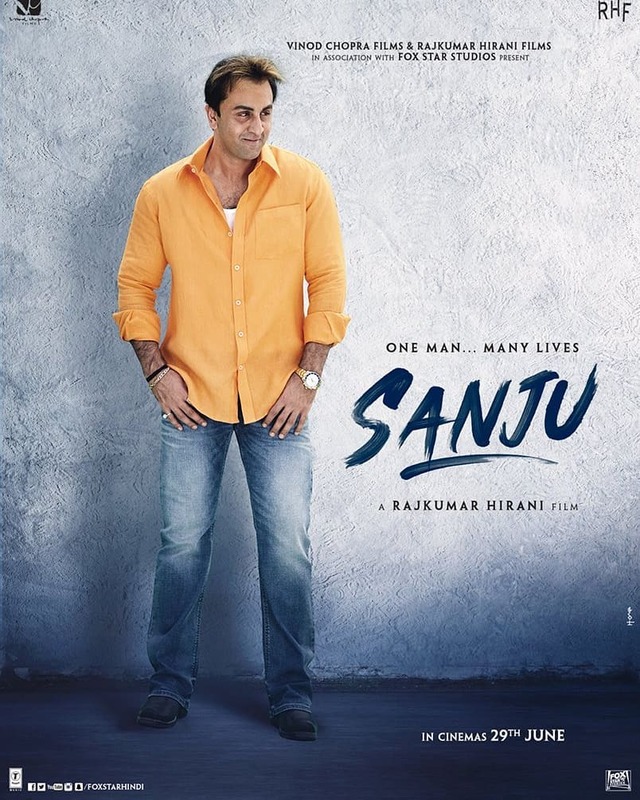 The makers of Sanju present the making video of Rajkumar Hirani's Sanju, recreating the iconic character of Munnabhai for Sanjay Dutt's biopic Sanju with Ranbir Kapoor. [post_ads]The filmmaker who helmed the successful franchise of Munnbhai turned nostalgic recreating the same scenes with Ranbir Kapoor for the biopic. While Ranbir Kapoor and Rajkumar Hirani are basking in the glory of the film's blockbuster success, the journey of transforming Ranbir into Munnabhai was a very straining task. Depicting the tedious journey with a video, Rajkumar Hirani took to Twitter to share the video saying, " Watch #RanbirKapoor's surreal transformation to Munna Bhai- http://bit.ly/MunnaBhaiMakingVideo ... #Sanju @FoxStarHindi @VVCFilms #RajkumarHiraniFilms". Creating a record with the phenomenal numbers on the opening day, Sanju has been raking high at the box office winning hearts all over. The Rajkumar Hirani directorial has crossed over 200 crores in a week and is running strong at the box office. Entertainment - U.S. Daily News: Watch the uncountable look tests that went into transforming Ranbir Kapoor as Munnabhai for Sanju!